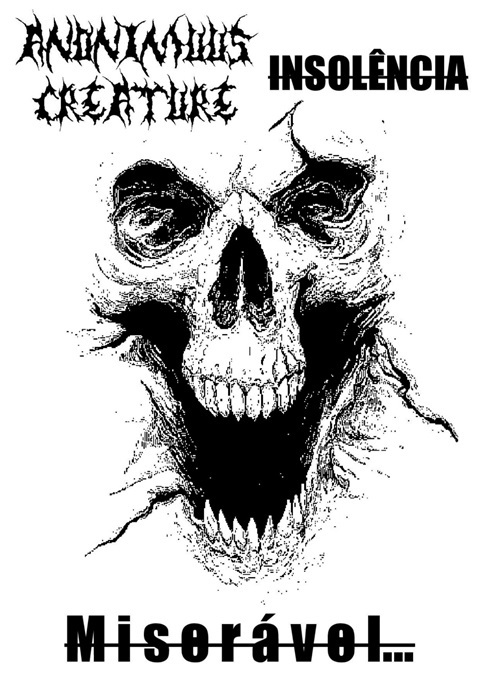 Your worst nightmare has return in the shape of 2 unglorious and monstrous tracks from the Anonimouus Creature entity. Expect nothing more nothing less than deformed and grosteque summonings that will haunt you far beyond your imagination. Insolência stands for free lunatic noise experimental ambient stargazer on drugs so try to achieve your inner peace and meditate to this!!! Industrial Harsh Noise gravado no canto do carocho por INSOLÊNCIA em Portugal a 26/03/2018 no estudio caseiro do Crava para o split com Anonimuus Creature..